When retired senior CIA analyst Rico Perris plunges off a cliff in his vintage Porsche while speeding through the mountains of Colorado late one snowy night, the local sheriff rules it an accident. CIA officials, however, suspect otherwise. Their suspicions are soon heightened after two other former intelligence analysts turn up dead under questionable circumstances. All three victims were once assigned to the same top secret project: an internal review of the CIA's long-rumored involvement in the assassination of President John F. Kennedy. Now, with a Congressional mandate about to go into effect compelling the CIA to release long-secret files relating to the assassination, there is growing concern that a shrewd and ruthless killer is on the loose, one who will stop at nothing to prevent the public from discovering the truth of what happened that tragic day in Dallas in November, 1963. Veteran pilot, aspiring Buddhist, and ex-government assassin Cordell Logan has little interest in helping his former comrade-in-arms, Buzz, who still works in the intelligence community, investigate what looks increasingly like a vexing conspiracy. Content to operate his small civilian flight school in the swanky seaside resort of Rancho Bonita, California, Logan would just as soon be left alone-that is, until Buzz introduces him to Layne Sterling, a brilliant and beautiful CIA agent assigned to the case. Logan is instantly drawn to her. 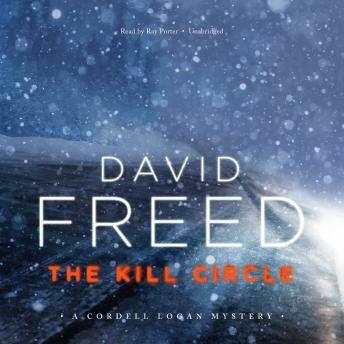 Working together while pretending to ignore their simmering mutual attraction, they soon find themselves caught up in a high-stakes, high-altitude cat-and-mouse game, one that in the end could destroy them both.This is the sixth offering in a series of mystery-thrillers that has earned Cordell Logan and author David Freed a legion of loyal readers and critics alike.